This ~530 piece (including spares) set will retail for US$49.99/ GB£44.99/ €49.99/ AU$69.99 when it is released in June 2014, but the super Community and Events Engagement Team sent New Elementary an advance copy for this review, which made me a very happy bunny. I was 13 when the original film came out and remember thinking it was the funniest film I'd ever seen - but the only reason I properly recall thinking this was because my octogenarian grandfather, who had a brilliant sense of humour, slated it as being completely stupid when we left the cinema. I was speechless. Thankfully future generations have not agreed with Grandpa, and Australian Brent Waller's CUUSOO submission found enormous popularity. I've a feeling the set will be a complete success too. Senior Designer Marcos Bessa has created a magnificent official version of Brent's design, and has made my day by including a remarkable number of cool elements. But first, I need to drool over the box. Figuratively. I do love a good box. So clean! 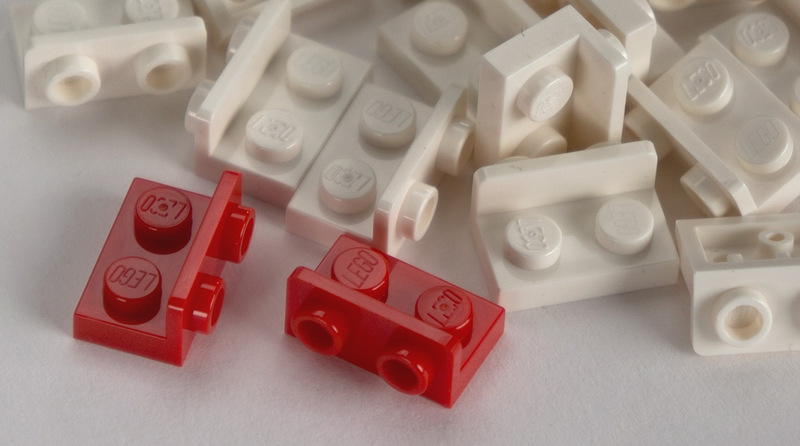 The age mark and set number have been shrunk and stuck into a corner, and the new LEGO Ideas branding is far less intrusive than the old CUUSOO. With no callout boxes or superfluous copy, the hero shot of the model fills the whole cover and doesn't look too busy. It just looks cool. But preventing things from getting too passive for the consumer's attention are the hazard chevrons adorning the left and right edges of the box, which frame and lift the design. There's a cute bit of translation on one box edge too! The instructions booklet is the same high quality specification enjoyed by Architecture and other LEGO Ideas sets, although sadly the binding on mine is faulty and pages immediately began falling out. I imagine this is just an isolated incident though! There's no sticker sheet in this set; just lovely printed parts. Most exciting in my book are the four White 2X2X2/3 bows printed with the Ghostbusters logo (Element ID 6092268 | Design ID 15068). 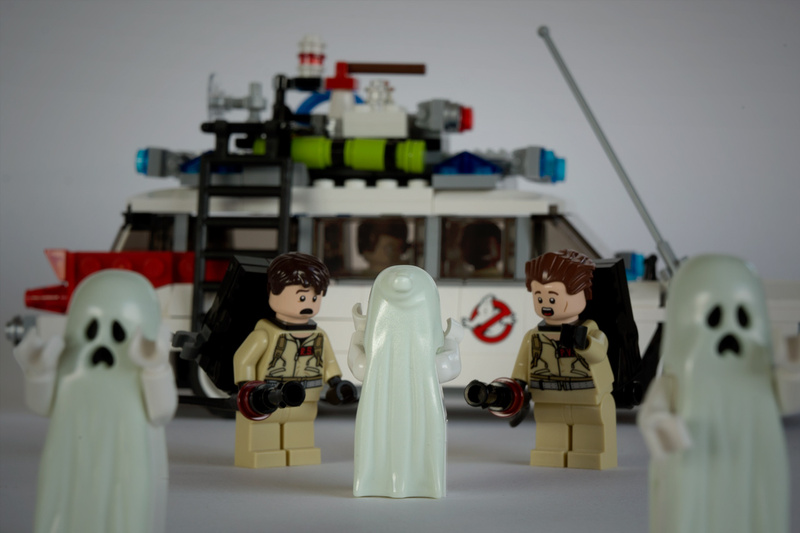 Obviously this part isn't going to see much use outside of Ghostbusters MOCs! But they please my inner child. The two classic "ECTO-1" numberplates come on 1X2 tiles in Bright Light Orange [BL]/Flame Yellowish Orange [TLG] (Element ID 6092269 | Design ID 3069). The four Black inverted round tiles with proton pack detailing (Element ID 6092452 | Design ID 2654) will be much more useful, as the design is sufficiently non-specific. The four red dots on each aren't symmetrical, which may or may not be useful for your builds. Four is an impressive number of minifigs in a set this size, but not unheard of - other licensed sets like Star Wars 75046 Coruscant Police Gunship or SpongeBob SquarePants 3818 Bikini Bottom Undersea Party have the same price and minifig count, and roughly the same piece count. Same with a few non-licensed sets, such as Chima 70008 Gorzan's Gorilla Striker and Ninjago 9445 Fangpyre Truck Ambush . The printing on the minifigs is excellent. Each character's face is clearly recognisable, and is double-sided. Each torso has the character's initials on the breast and their first name on their backpacks at the rear, but these torsos are generic enough to use elsewhere. It's deserving that the graphic designer, Adam Corbally, gets credited in the booklet. As is the rule for this theme, there are no new parts in this set but it comes with an impressive number of existing parts in new colours. Let's continue examining the minifigs. Some great recent hairpieces come in a couple of new colours; Spengler gets the Series 6 Collectible Minifigures (CMF) Mechanic's hair in Dark Brown (Element ID 6086672 | Design ID 98371) whilst Venkman sports the Series 2 CMF Vampire's hair in Reddish Brown (Element ID 6092610 | Design ID 64798). 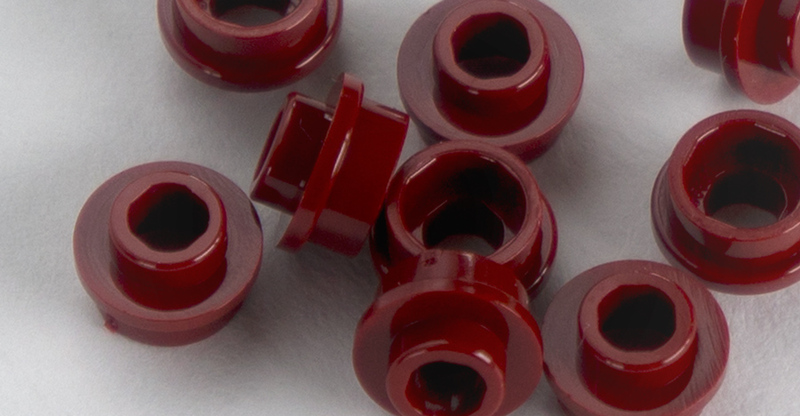 The 1X2/1X2 inverted bracket (probably my favourite new part of recent years) comes in Red [BL]/Bright Red [TLG] (Element ID 6070698 | Design ID 99780) for the first time, and two are included. There's also thirteen White ones, which previously featured in 21021 Marina Bay Sands, but this is their first appearance in a globally-available set. Here's yet another new colour for the 1X1 round tile: Lime [BL]/Bright Yellowish Green [TLG] (Element ID 6057878 | Design ID 98138). The whip introduced in 2010 appears in Black (Element ID 6092878 | Design ID 88704) for the first time and you get four, as they're used as nozzles on the proton packs. Previously this has always appeared in Reddish Brown apart from the Series 2 Circus Ringmaster, who had it in White. Yippee! Another sighting of the dot-with-a-hole that I once accidentally christened the Apollo stud. 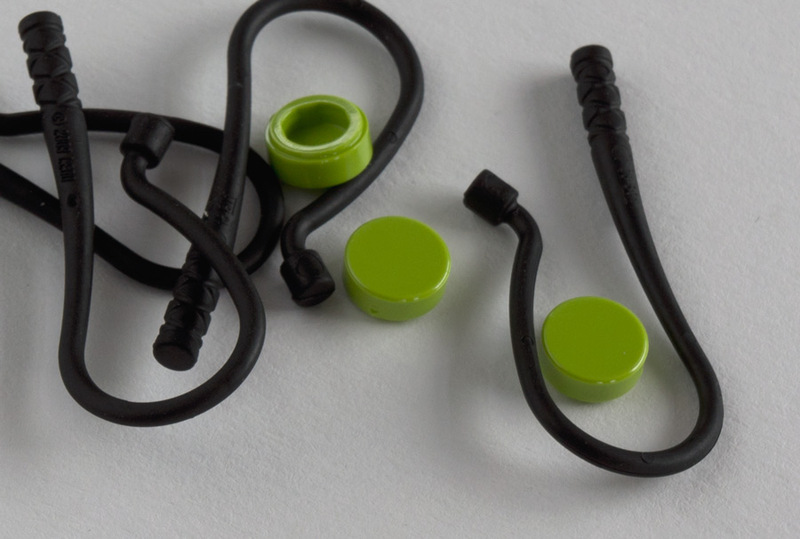 This incredibly useful part has a mysterious history and rarely appears in sets, so it was exciting to get it in Yellow [BL]/Bright Yellow [TLG] earlier this year. Here, it comes in Dark Red [BL]/New Dark Red [TLG] (Element ID 6073031 | Design ID 85861) and is put to good use in the proton packs and car windows, which I'll detail later. There are nine in total including the spare. 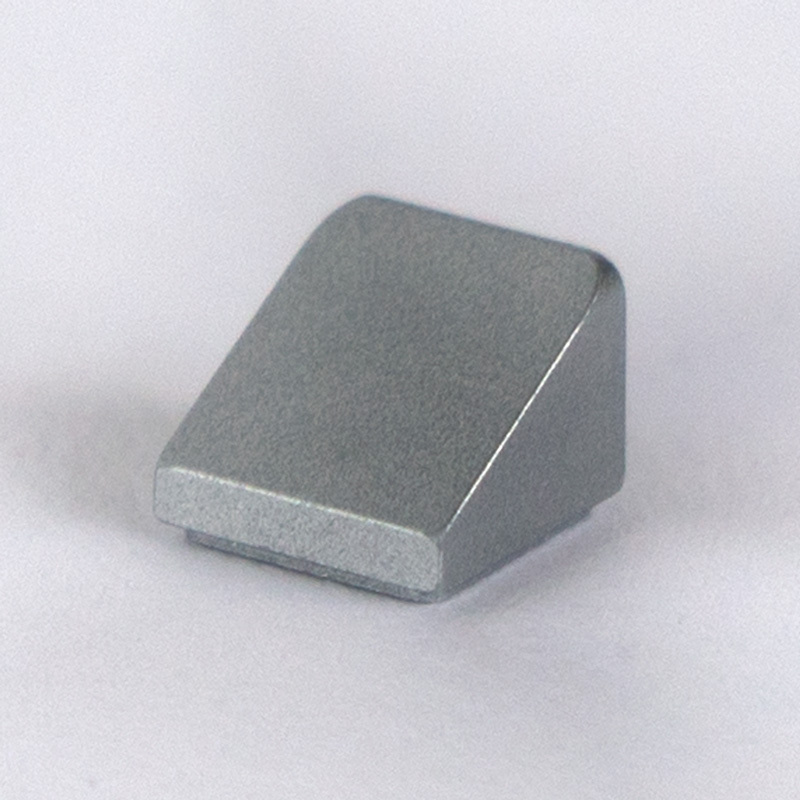 However, the most intriguing new element in this set is the CMF stand, the 4X3 plate with just four studs along the middle, which comes in Light Bluish Gray [BL]/Medium Stone Grey [TLG] (Element ID 6079461 | Design ID 88646). Previously it has of course usually appeared in Black, but a White version appeared in the Team GB CMFs in 2012 with blue logos unfortunately printed on them. But perhaps more significant than the colour change is the fact that this is the first appearance of the part outside of the CMF line. 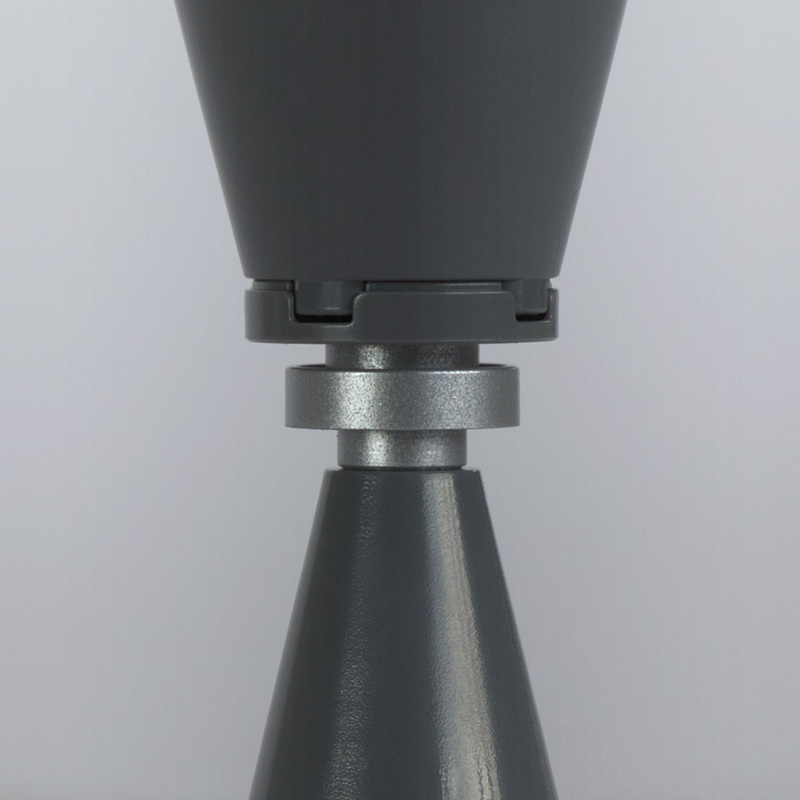 It's not the most useful part in the world as it's a bit large, which limits its applications. But it's still a wonderful part because the studs appear in the middle of the part, rather than along edges like on other plate/tile hybrid parts. I've used it to make stairs and have seen nice rooves made of these, but my favourite use of this part is to attach the line of studs to a wall, leaving a strip of 'tile' projecting out as shown here with Black CMF plates. The really odd thing about its appearance in this set is that it has no functional or visual purpose. It gets hidden in the chassis, essentially doing the same job as two 2X3 plates. Obviously a 4X3 plate provides more strength than two 2X3s, but given that it gets covered up with more layers of plate I can't imagine stability was the reason. Those extra plates on top also negate the possibility that it was utilised in order to reduce the strength of the connection to the upper parts. Don't get me wrong, I'm absolutely thrilled by this part appearing in Light Bluish Gray, it's simply curious given that designers have a limited number of colour changes available to them. I don't know why the existing Black version wasn't used to save costs - unless that colour is still locked as an exclusive to the CMF range? So, my hope is that this part is now entering System sets proper and designer Marcos simply pounced on its new availability... yay... and that we'll soon find other sets using it in Light Bluish Gray. There are a whopping 38 pieces in this set in Metallic Silver [BL]/Silver Ink [TLG] and some are new in this colour. My favourite is the dumbbell (Element ID 6092258 | Design ID 91049) - yet another part that started life in the CMF range (Black in Series 2 and Blue [BL]/Bright Blue [TLG] in Team GB). In this set they are hubcaps, and I am sure they'll find many other uses in your builds. Aside from its tiered structure, what makes it an interesting part is that its diameter falls between one and two studs wide. This is unusual and great for textural detail in round structures. Here I'm showing it with a couple of cones and the new 2X2 round tile with hole. Also new in Silver Ink is the 1X1 round brick (Element ID 6092106 | Design ID 3062) - you get four here. This part had never appeared in a metal shade until earlier this year, when it arrived in Pearl Gold [BL]/Warm Gold [TLG]. The 1X2X2/3 grilled 18° slope (a.k.a. the cheese grater) is another part new to any metal shade; Silver Ink is the first (Element ID 6092115 | Design ID 61409) and there are two in this set. There are also ten lovely 1X1X2/3 slopes (cheese) in Silver Ink (Element ID 6092109 | Design ID 54200) which is, strictly speaking, a new colour for these - but you might not be aware of this (nor care) if you solely follow BrickLink's colour names. 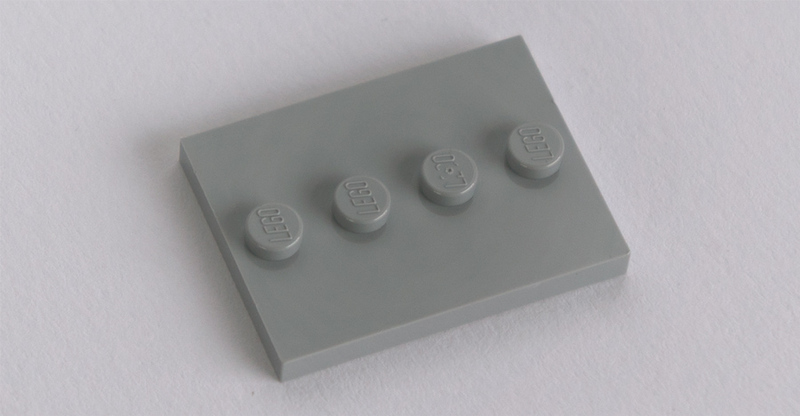 BrickLink (BL) lumps a number of TLG's silver tones under the BL name Metallic Silver, and in this example there were cheese slopes previously released in 2008-9 which are in fact "Cool Silver, Drum Lacquered", a previous silver shade that TLG used. Whether the difference is noticeable or indeed important is up to you, but if you're interested in the many inconsistencies in colour naming between TLG and BL - as this is just one example - the best resource I know is this Excel spreadsheet of LEGO colours by Aanchir, a regular reader here on New Elementary with an encyclopedic knowledge of the subject. See Sheet 2. A couple of minor points to finish the elements review. The 18x14mm wheels with axle hole are relatively rare in White, having only appeared in 8184 Twin X-treme RC in 2009. And in my copy at least, the Dark Bluish Gray [BL]/Dark Stone Grey [TLG] jumper plates (Element ID 6092572 | Design ID 15573) are the new style that allows offset underneath. I mention this only because this is the first time I've seen the new style in a colour other than White or Light Bluish Gray, although they apparently appear in Green [BL]/Dark Green [TLG] in the non-retail set 4000011 Nyiregyhaza Factory. It's just a matter of time before all colours of jumper plate are this new style... unless they change it again. After making the minifigures, the display stand (that I pictured earlier) is constructed for them. 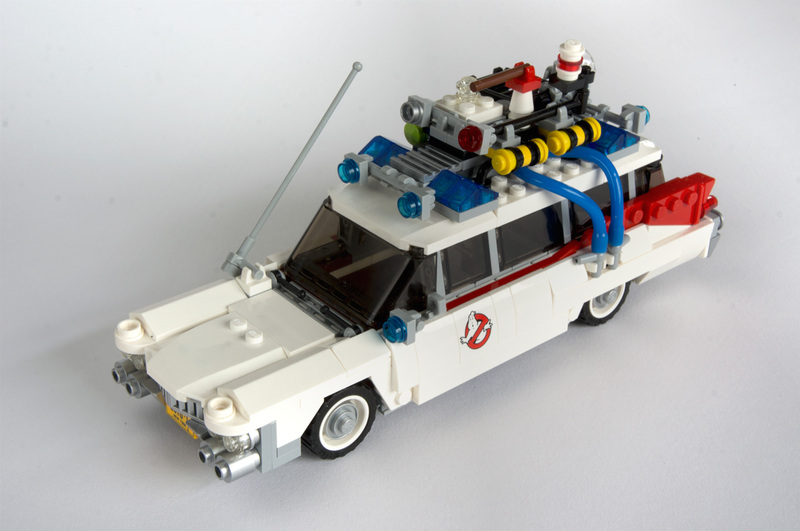 Even this simple build has a nice little technique in it, where the 2X2 bow with Ghostbusters logo is attached to Erling bricks and an inverted bracket, rather than the typical SNOT brick. Next come the proton packs, and for something so small these are a detailed little build including a neat technique with the clip that attaches to the minifig's back. Onto the main build, and it's quickly apparent that this is a massive vehicle with a chassis measuring 6X24 studs. 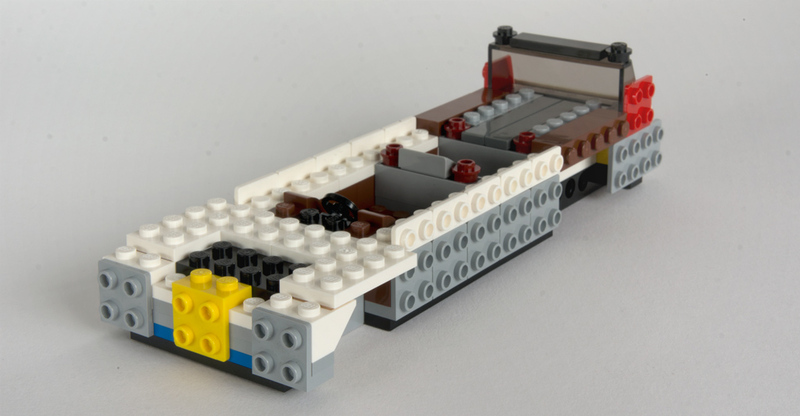 Huge numbers of SNOT parts adorn every edge of the chassis in a number of alignments - note the sideways Reddish Brown bricks towards the back here; the studs are aligned with the other SNOT plates but by setting the actual SNOT bricks further inwards, the required space for the wheel below is kept free. Decorating the sides is a lot of fun, but my favourite moment comes with the side windows. 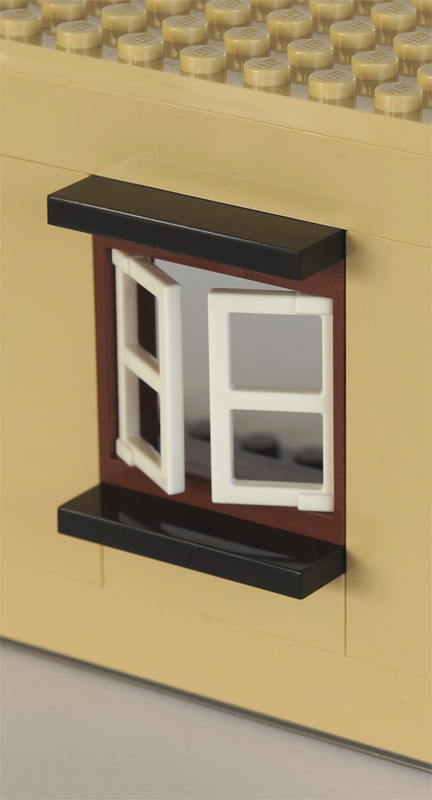 Window parts are stacked amongst 1X2 plates with vertical hooks, which then snap into clips held vertically by Apollo studs. The arrangement rests at a slight angle thanks to the bed of cheese underneath the window, creating a snug and satisfying effect. The detachable roof is the final section and it's packed with detail, though I have no idea what all the objects are. The finished vehicle really only fits two minifigs, which doesn't bother me. The other two guys are busy fighting ghosts. Ghosts not included in set. Hmmm. 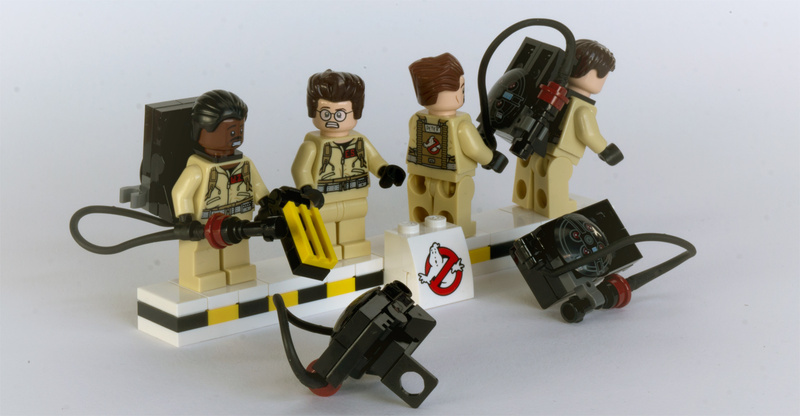 I know it looks like Stantz and Venkman are dealing with a ghost who is also a flasher, but in fact I posed them that way just so the figs don't topple backwards with the weight of the proton packs. Which is unfortunate, but I guess the only real other option was to not include the proton packs in the set at all which would have been the greater shame. This is an absolute corker of a set. I'm no fan of cars on the whole, but this is one beautiful vehicle. It's packed with great new elements, a constantly varying build and surprising techniques that I imagine many 10 year-olds could find challenging. But let's face it, this set has been largely aimed at the adult market. Even non-AFOLs are shrieking "Shut up and take my money." My thanks to LEGO's Community and Events Engagement Team for providing this set. 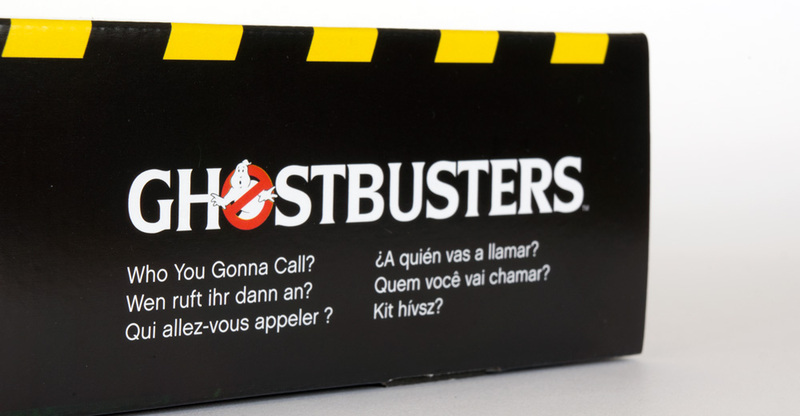 21108 Ghostbusters will retail at US$49.99/ GB£ 44.99/ €49.99/ AU$69.99 when released in June 2014. Excellent model and review Tim. I was on the fence about getting this, but seeing all the parts in those new colours was a push to the buy side! 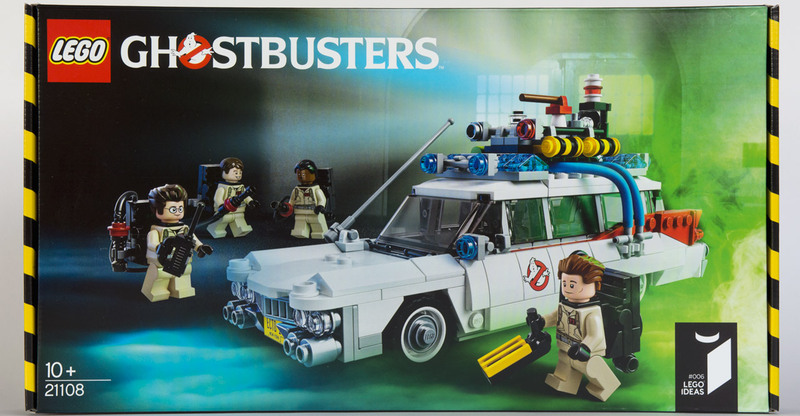 While I've never seen any of the Ghostbusters movies, I really love the look of this set. It's packed with detail and has some very neat building techniques. Also, I think 500 pieces for a minifig-scale car might be a record! +1 to that. I may have considerable trouble just trying to part-source. Pity about the instructions-on the bright side, there's an utter lack of Screaming Win Kid, right? Huw also had the same problem with the instructions. It seems that it's not just yours but all of them. On the subject of minifig stands, does any body know anything about the printed one in http://brickset.com/sets/TLMPROFIG-1/The-LEGO-Movie-Promotional-Figure ? I love the dark red 85861. I've supported countless IDEAS projects just because the model had black or bley ones. So maybe they will have black ones one day in a Doctor Who set. 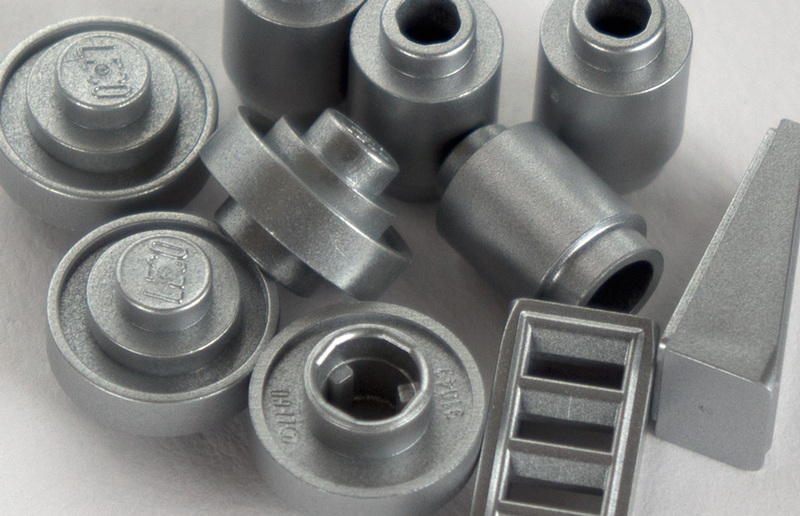 Great review Tim; lots of lovely new parts. Maybe I missed it (probable, in fact), but how many of the bley CMF stands are included in the set? Thanks. Thanks for the link. There's only one CMF stand. Re that rare CMF stand - I know nothing more; perhaps any LUGoLA members reading this can point us to better pictures?